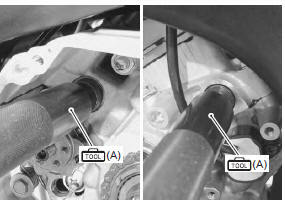 Remove the gearshift shaft. 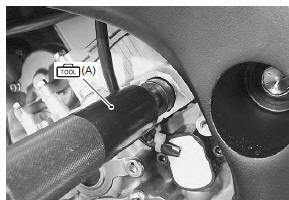 Refer to “gearshift shaft / gearshift cam plate removal and installation” . 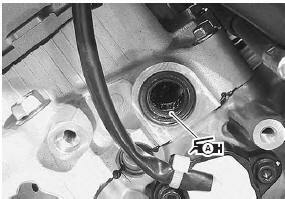 Remove the gearshift shaft oil seal (1). Remove the bearings (2) and (3) with the special tools. 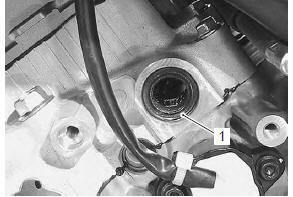 the removed oil seal and bearings must be replaced with new ones. Install the bearings with the special tool. the stamped mark side of gearshift shaft bearing faces outside. 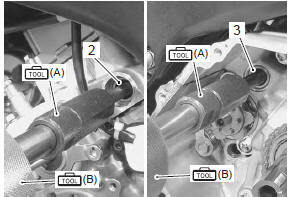 Install the oil seal with the special tool.